Jefferson designed the one-of-a-kind clock, and sent his plans to a Philadelphia clockmaker named Peter Spruck to build. Spruck created it with the help of his apprentice Robert Leslie in 1793. It wasn’t installed in Monticello’s Entrance Hall, though, until 1805 when Jefferson was president. 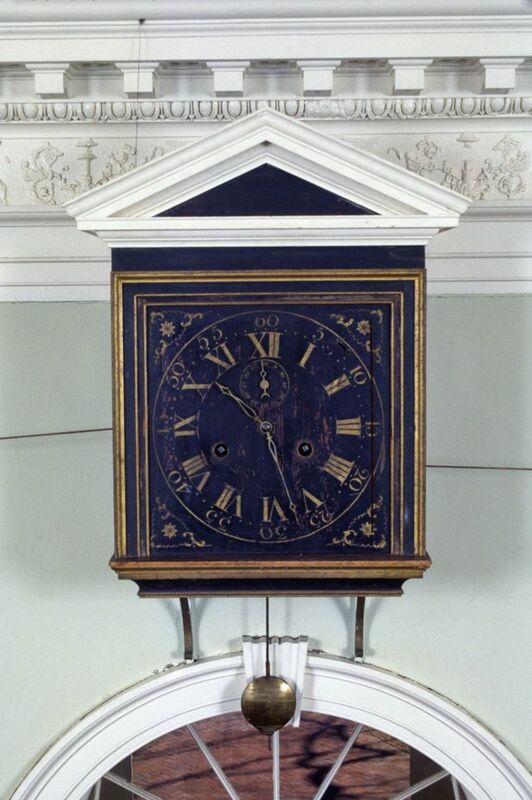 The Great Clock has remained there ever since—one of only a handful of items that has been in Monticello continuously from Jefferson’s time to today. I first mention the Great Clock in Saving Monticello in the section on the brief (1831-34) ownership of Monticello by the eccentric Charlottesville pharmacist James Turner Barclay. He bought the place from Jefferson’s daughter Martha and her son Thomas Jefferson Randolph after they had sold virtually all the furniture and furnishings in the years following Jefferson’s death in 1824. Barclay signed a contract to sell Monticello to Uriah Levy in 1834, but the sale was delayed for two years when the parties had a dispute over what exactly would convey to Levy. The contract called for Levy to receive Monticello and its “appurtenances” and 230 acres of land. Barclay would keep the houses’ valuable pier mirrors and the seven-day clock. However, a land survey revealed that Barclay had sold off all but 218 of Monticello’s acres. So Levy asked Barclay to annul the initial contract, which he did. The parties wrote a new one in which Barclay dropped the price to $2,500 and, according to Levy, threw in the mirrors and clock. Barclay disagreed with that and legal wrangling (a lawsuit and a counter suit) ensued. It ended in 1836 when the parties settled the lawsuits and Uriah Levy took possession of the house—including the Great Clock and the mirrors. Uriah Levy, a U.S. Navy lieutenant when he bought Monticello, spent most of his time at sea, in the 1850s. His caretaker at Monticello, Joel Wheeler, lived in and ran Monticello, but didn’t exactly maintain the place well. That included the Great Clock, which was in the mid-1850s was unused and in bad shape. “Dust and rust corrode the silent wheels,” a visitor reported in 1856. According to the Richmond clockmaker Frederick Ostergren the Great Clock would stay in that condition until 1937. 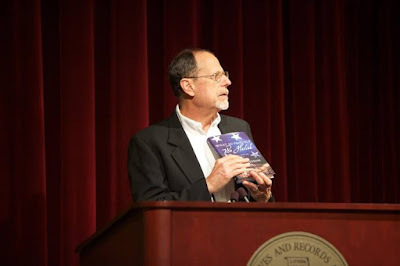 · Thursday, January 11 – Talk on Flag: Saving Monticello and book signing at the monthly meeting of the Falls Church (Va.) DAR chapter. · Thursday, January 25 – 1:00 p.m. talk on What So Proudly We Hailed: Francis Scott Key: A Life and book signing for Montgomery County (Md.) Oasis, 7125 Democracy Blvd. Bethesda. Open to the public. For info, call 301-469-6800, ext. 211.